Fire broke out on the sixth floor of the National Museum of Natural History in Delhi and spread to other floors. A massive fire overnight has completely destroyed the iconic National Museum of Natural History in Delhi, destroying rare specimen of flora and fauna. 35 fire fighters battled the flames for hours; seven were taken to hospital suffering smoke inhalation; two are reported in critical condition. The fire broke out at around 1.45 am on the top floor of the building that houses the museum, and quickly spread to all six floors. A part of it also spread to another building in the complex - the FICCI Auditorium - which has not been damaged much. The sprinklers and water pumps in the building failed to work; the fire was finally extinguished this morning at 5 am. 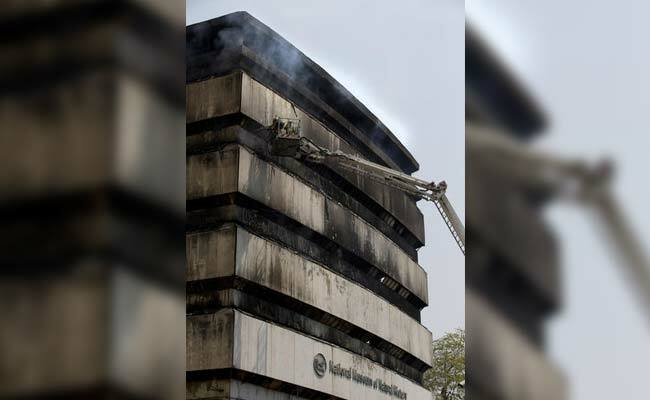 Fire broke out at the National Museum of Natural History around 1.45 am, was brought under control by 5 am. The museum functions under the Ministry of Environment and Forests. Environment Minister Prakash Javadekar visited the site this morning and said, "This is tragic, the museum is a national treasure. The loss cannot be quantified." He has ordered a fire audit of all 34 museums across the country. 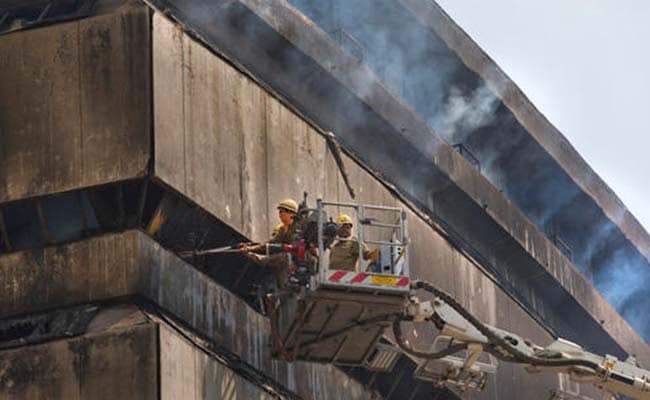 He also said the building belonged to the Federation of Indian Chambers of Commerce & Industry or FICCI, and added, "They should conduct fire audit in order to restore damaged properties." A popular site for school visits, the National Museum of Natural History was set up in 1978 and contained preserved specimens of butterflies, frogs, snakes, lizards as well as mounted specimens of tigers and leopards. Mr Javadekar said some collections have been destroyed, but a thorough assessment of the damage will take some time.